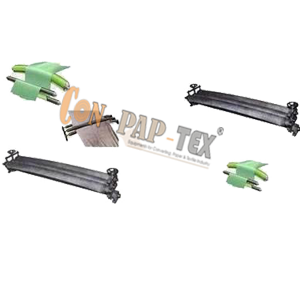 Bow Roll working with single and double acting. 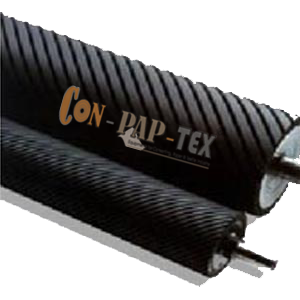 Types of bow roll available with high quality synthetic nitride sleeve rubber sleeve covered. 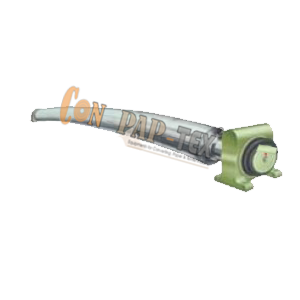 Metal expander with hard chrome plated surface for high speed application. 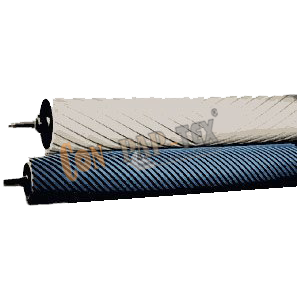 Vary bow expander roller, teflon sleeve expander roller for non-sticking application. 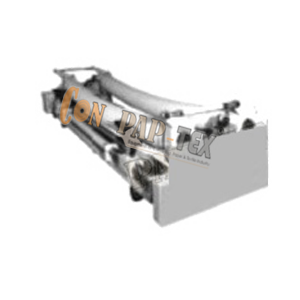 The unit consists of two numbers jointed axle bowed Rolls light duty or heavy duty as per application/fabric tension. 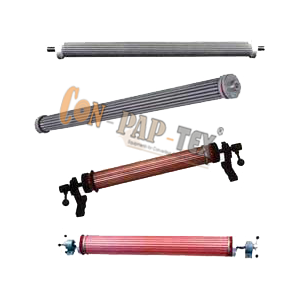 Scroll spreader roll, scroll roll mounted on foot mounting pedestals, scroll roll spreading system, reverse forward thread roller (aluminum / m.s., steel), parabolic camber scroll roller. 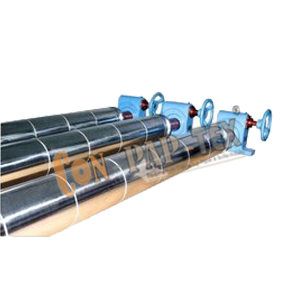 LH-RH Grooving is applied to get maximum result.